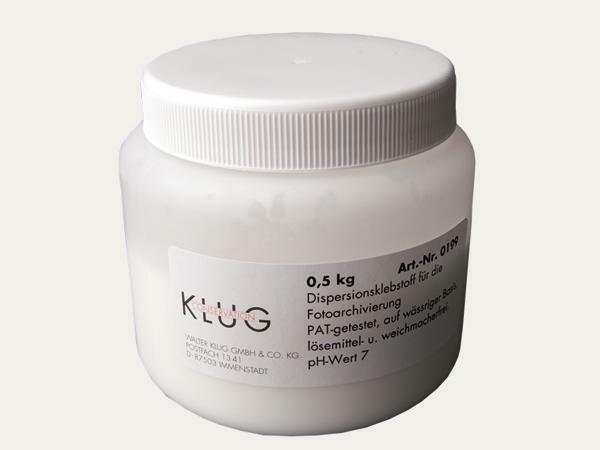 Dispersion glues made on an aqueous basis. Manufactured free of softening agents and pH-neutral. Ideal for either manual or machine book-binding and lamination work. The glues have been especially developed for long-term preservation and archival storage of photographic items.